Using Cupcake is simple, Just install the addon and you're done! 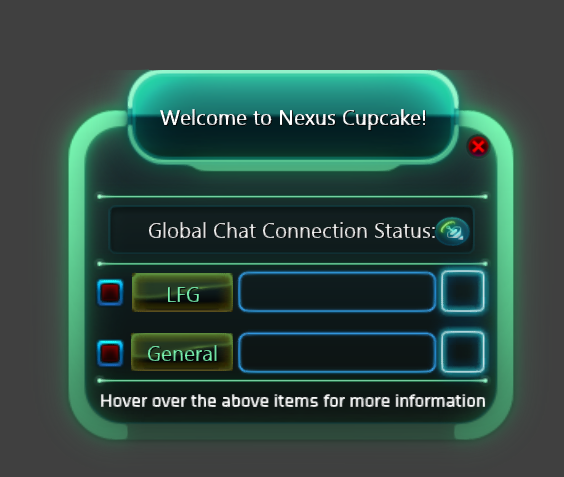 Cupcake will automatically attempt to connect you to your default LFG and General Global Chat channels ( Available to Everyone on your server & Faction! ). v1.0A Fixed it to work properly with Dominon Characters... Sorry!